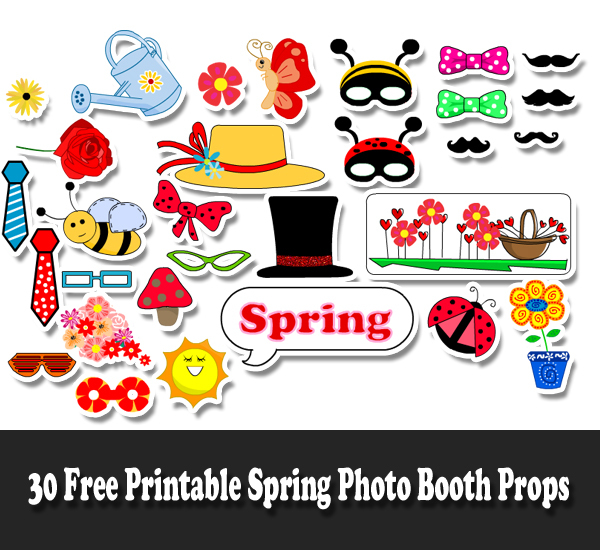 Here are some Free Printable Spring Photo Booth Props. 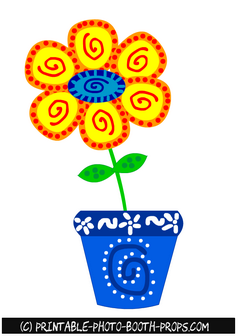 These free, fun and colorful props are perfect for any spring themed party. You can easily print these props using a home printer. These props are really easy to assemble and you can read detailed instruction on how to do that, on the main page of this website. All these props are free for personal use. Just click on the thumbnail image of any of these props and a bigger image will open up. Right click and save that image. 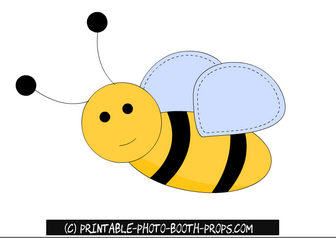 These are two adorable and free printable props. 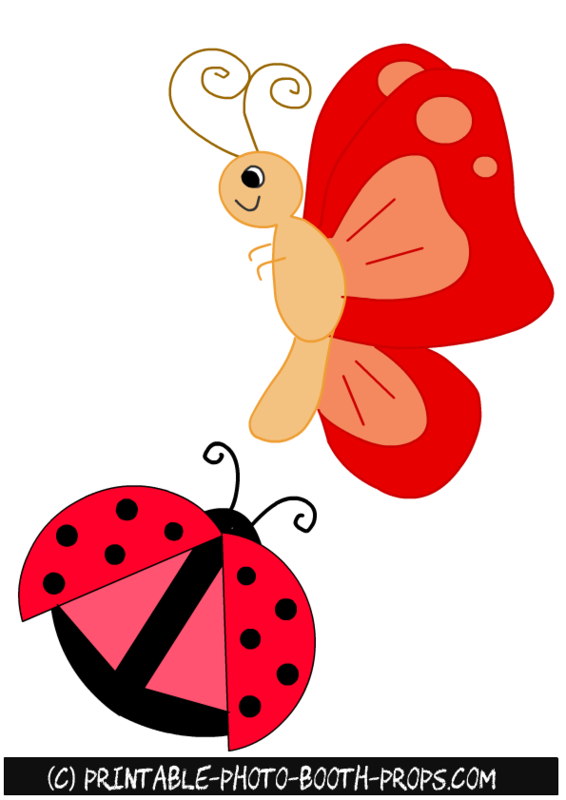 One is of a butterfly and other is a ladybug. 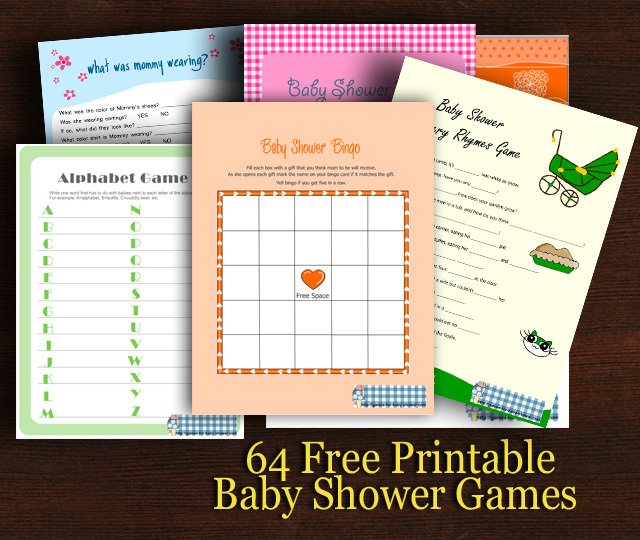 These cute props are perfect for a kid's party. 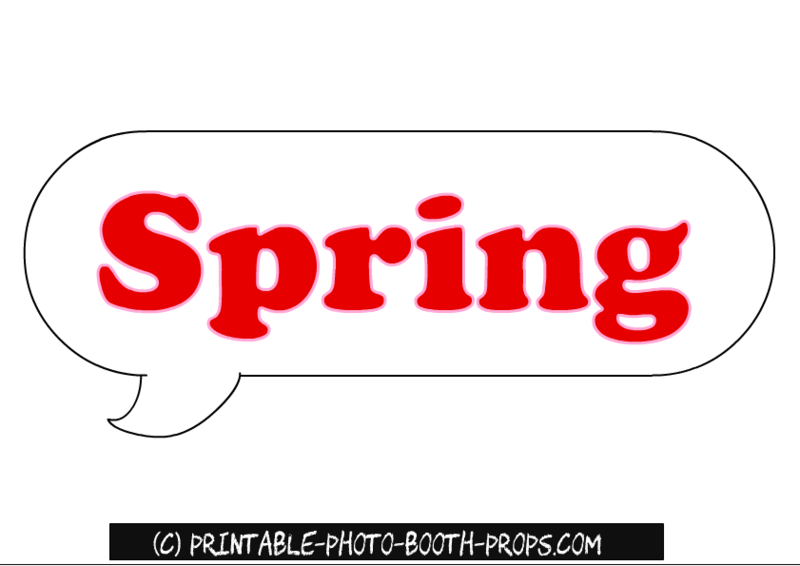 This is a free printable water can prop for a spring themed party. Just click on the thumbnail image of this prop and then right click and save the bigger printable image. 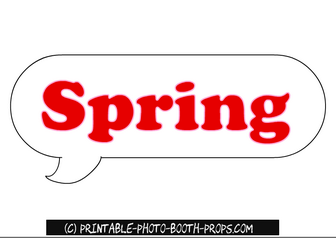 This is a free printable speech bubble prop with the word Spring written inside it. 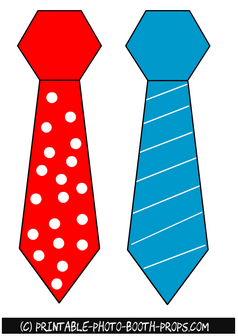 These are two adorable neck ties props for Spring photo booth. 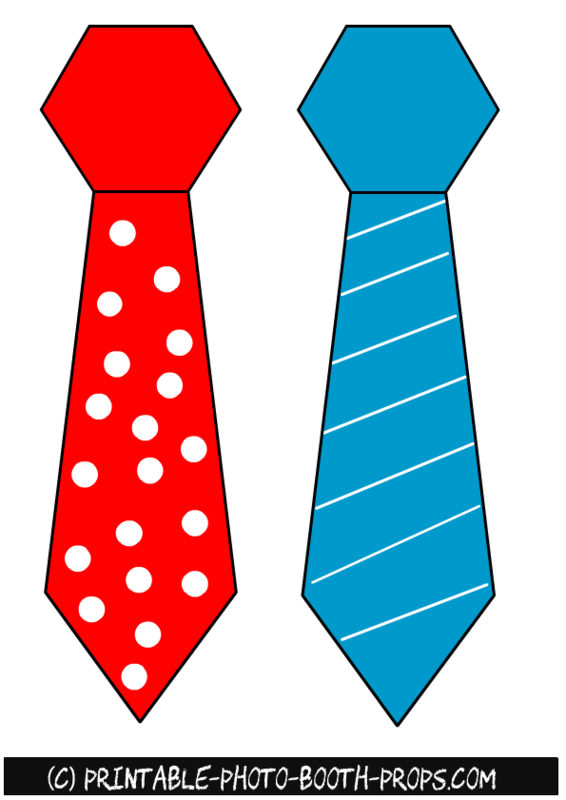 One tie is in blue color and other is bright red with white polka dots. Click on the thumbnail image that we have shared above and then right click and save the bigger image with 3 free printable bow ties props. 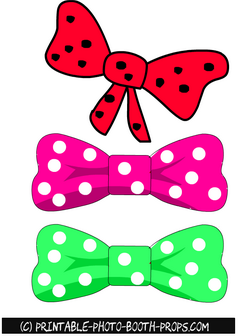 One bow tie is in red color and other two are green and pink. 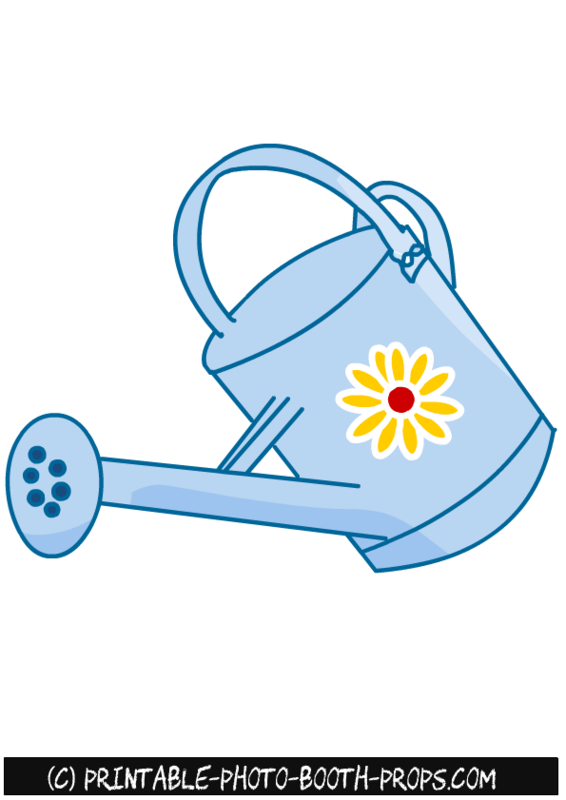 This is a free printable photo booth prop of a colorful flower in a pot. You can also use this photo booth prop as a backdrop of your Spring Photo Booth. 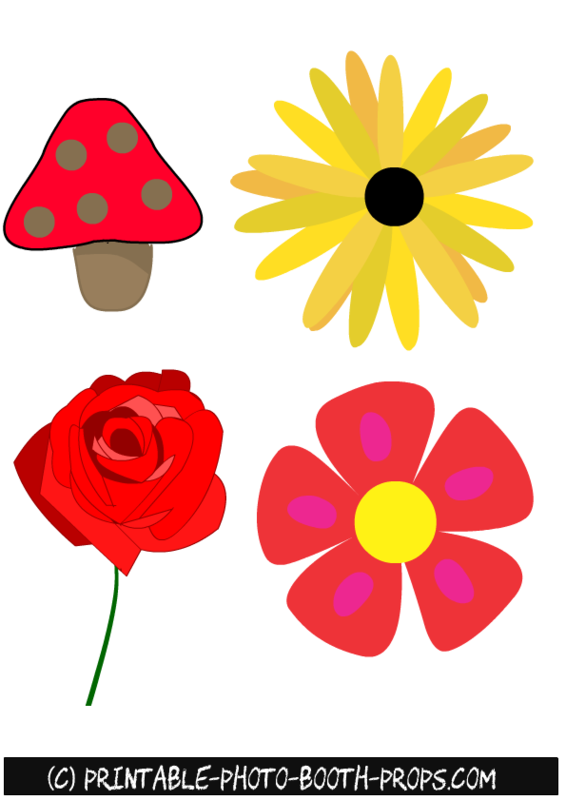 On this free printable props page, there is one rose, two flowers and one mushroom. No Photo Booth is complete without some fun moustaches. 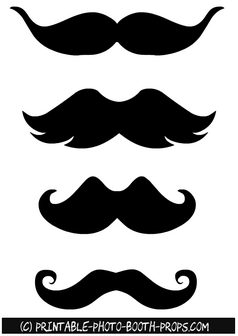 Click on the thumbnail image of the moustaches and then right click and save the bigger printable image. 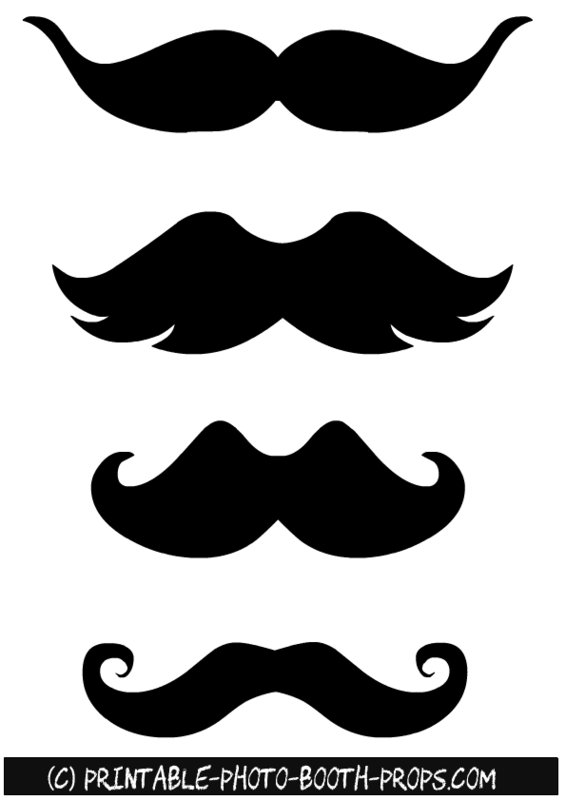 To get more moustaches prop visit this page. 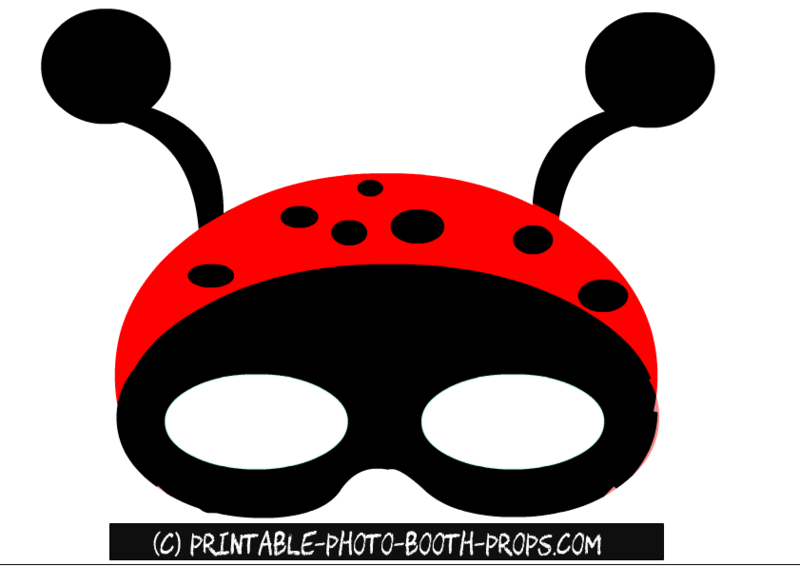 This is a free printable mask or prop of a lady bug. 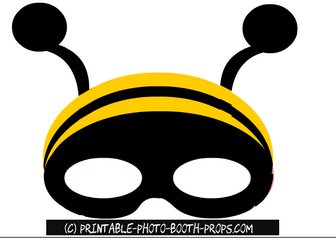 This is a free printable honey bee mask. You can either stick this to a wooden skewer and use it as a prop or tie an elastic on it's back so kids can wear it like a mask. 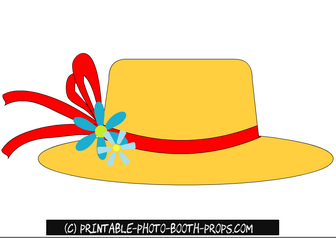 This is a free printable photo booth prop of a hat with flowers on it. 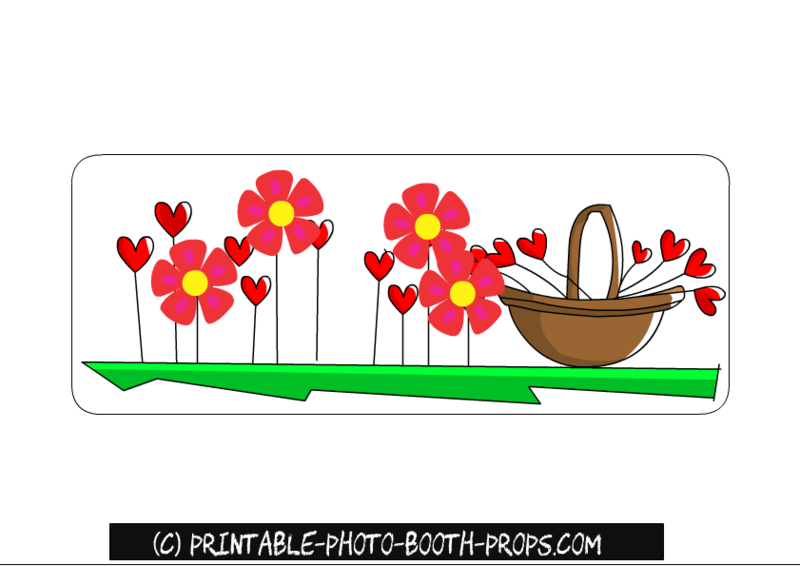 This prop will add colorful fun to your spring themed photo booth. This is a free printable prop of a spring garden. It can also be used as a backdrop. This is a printable prop of two colorful and free printable glasses for Spring photo booth. 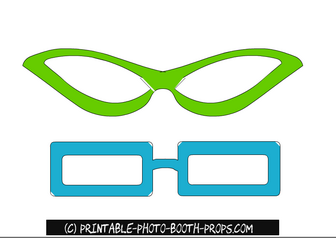 Click here to get some more free printable glasses props. 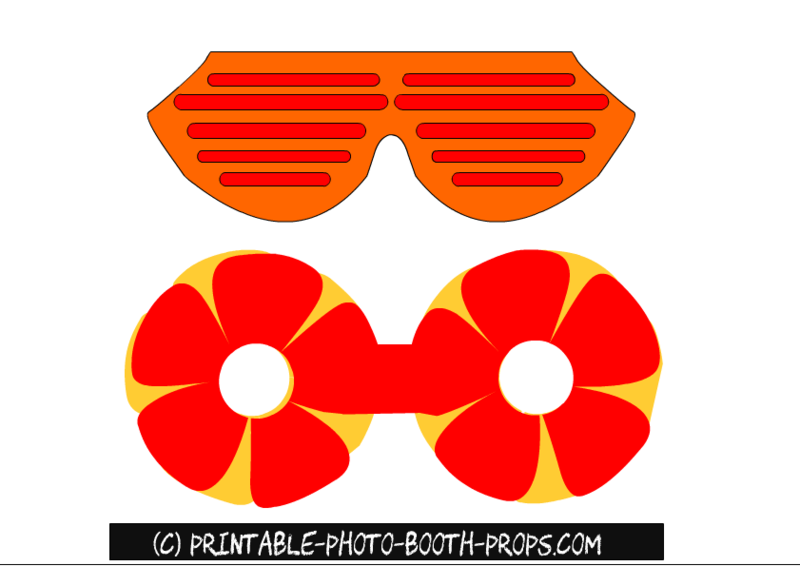 Here are two more fun and free printable glasses props for photo booth. 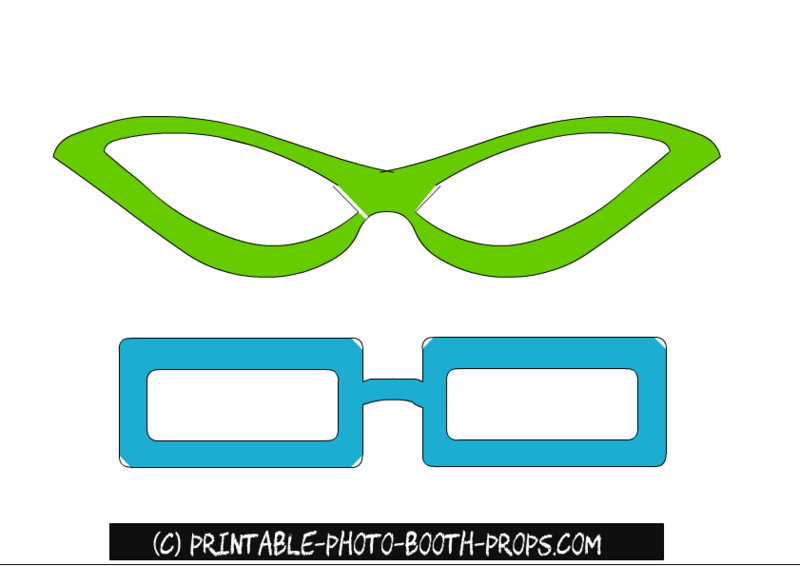 Just click on the thumbnail image of these colorful glasses and then right click and save the bigger image. Please pin the thumbnail images of these props on Pinterest and share the links to these props on social media.